Our range of products include Rubber Fenders such as Rubber Fender D Shape ( Wing), Hollow Cylindrical Rubber Fender, Square Shape Rubber Fender, D Type Rubber Fender, Rubber Fender O Shape (wing), I Type Rubber Fender and many more items. We are delicately involved in manufacturing & supplying high quality Standard D Fender. These informatory D Fender are developed at our state-of-the-art manufacturing facility using high grade retro reflective material. The material used in manufacturing process is sourced from most trusted vendors of the market. D Type fenders are installed on to the bow and the aft portions of Ocean going tugs, to product the hull of the vesse, against damages caused during pushing and pulling operations / to wage . These fenders are installed in similar manner as those of key Hole Fenders. 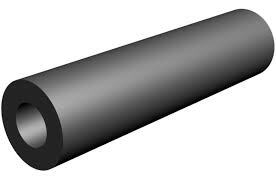 We have manufactured all types Rubber Products . As per Client requirement perfect size or Drawing / sample with quantity.